Five Things You Need to Know About MapItFast - AgTerra Technologies, Inc. If you’ve used MapItFast even once, you know that it’s made for easy mapping. There’s nothing quite like mapping points, lines and polygons with a single tap. But that’s only a fraction of what MapItFast can do! If you didn’t know about all the features below, it may be time to rethink how you’re using the software. 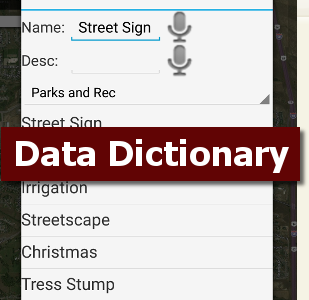 The data dictionary feature in MapItFast makes it even easier to map in the field with pre-set icons, lines, and polygon colors with automatic naming of your map objects. Use of data dictionaries is a great way to get the most out of MapItFast search tool (read more below). When projects accumulate data over the season, it may be necessary to review and organize the data from time to time. 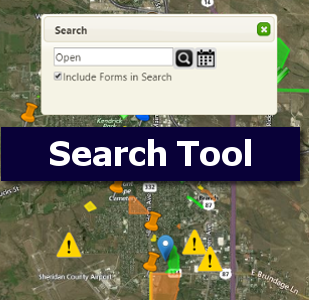 AgTerra developed the search tool on the web app to alleviate tedious searching and editing of individual map objects. Watch the video below to see how the search tool and permission settings can be used on a project in MapItFast. Account administrators can manage and view all projects in an account. Additional users in the account will be limited to only the projects they are allowed to see. 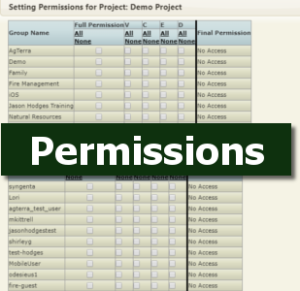 MapItFast’s enterprise-level permission system allows account administrators to share projects and data with individual users and/or user groups. 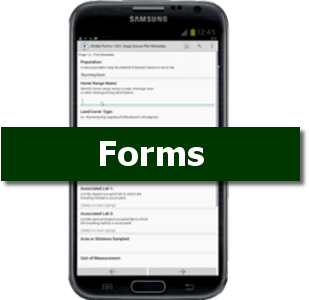 Replace nearly any paper form with MapItFast’s electronic forms. The data collected can be exported in tabular format through the Strider website, exported in spatial format from MapItFast, or even emailed as a PDF report directly from the app. With the use of our electronic forms, maps can be updated on-the-fly as users preform tasks in the field. 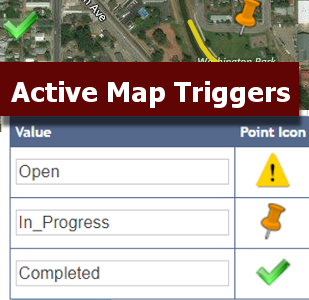 By setting up an Active Map Trigger in the Strider website, a selection in a form can automatically change the color of a point, line, or polygon on the map. With just one glance, users can view the map and see the status change in real time.